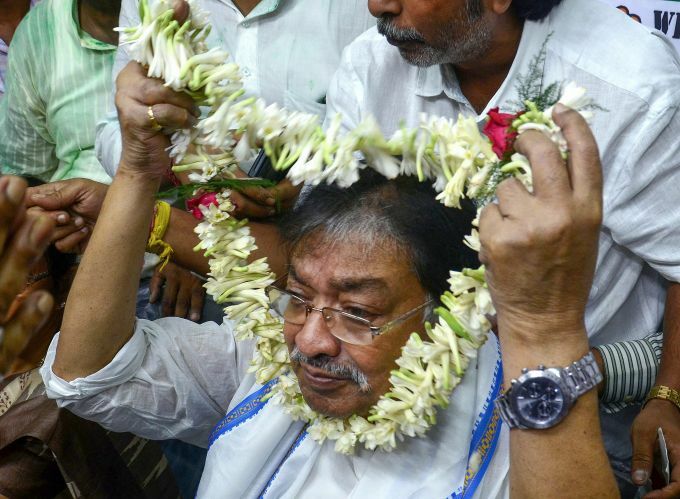 Kolkata: Newly appointed West Bengal Pradesh Congress Committee President Soumen Mitra being garlanded by the supporters at the party office in Kolkata, Friday, Sep 21, 2018. Mumbai : Bollywood actress Neha Dhupia with Vicky Kaushal at a programme, in Mumbai, Friday, Sep 21, 2018. 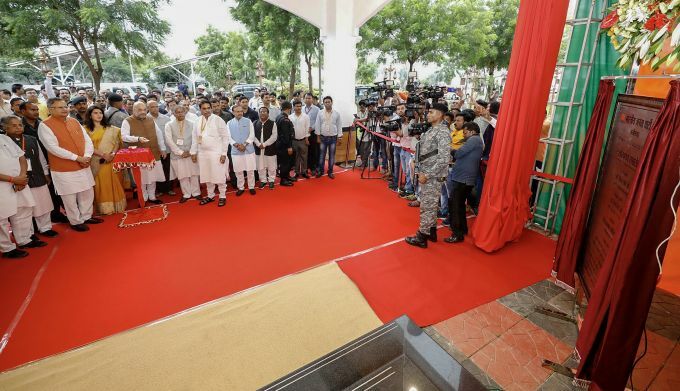 Raipur: BJP National President Amit Shah inaugurates Kushabhau Thackeray Auditorium at the BJP state office, Raipur, Chhattisgarh, Friday, Sep 21, 2018.